FloorScore® is the most recognized indoor air quality certification standard. They utilize independent ISO-17025 accredited laboratories to determine the most trusted, accurate results. Evaluation - including a review of the product's specific formulation and manufacturing site's document control system. Product emissions testing to ensure no harmful chemicals are used in the floors, known as Volatile Organic Compounds (VOCs). SLCC Flooring - We Chose to Go the Extra Mile. 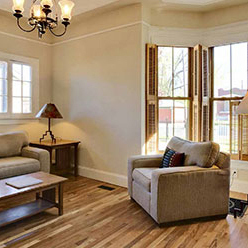 Understand that the FloorScore® Certification process is a voluntary, independent certification that SLCC has utilized to ensure the safety of our hardwood floors. 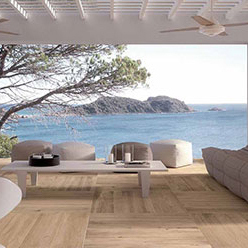 The test certifies that the materials used in the making of our hardwood floors are in compliance with the strict indoor air quality emissions that have been determined by the Resilient Floor Covering Institute (RFCI). SLCC Flooring Values Your Health & Safety. SLCC Flooring strives to make sure the flooring products we offer meet or exceed all environmental , health, and safety requirements including formaldehyde emissions, VOC emissions, state requirements such as CARB II Certification, and FloorScore® Certification. 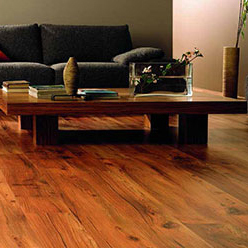 Enjoy Peace of Mind in Choosing SLCC Flooring. 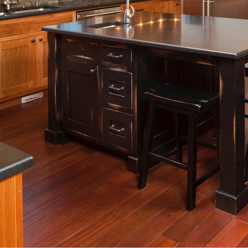 Hardwood floors are more than just beautiful additions to your home. A FloorScore® Certification ensures that the air you breathe inside is clean and safe for you and your family.